Look no further, this stunning home has it all. Masonry Facade, beautiful casework, high ceilings, not one but two master suites, elegant bathtub, multipurpose theater/recreation room. 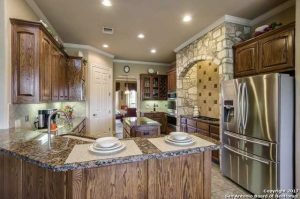 Kitchen boasts stainless steel appliances, gorgeous granite countertops with tile backsplash. Breath taking hill country views from the expansive windows in the living room. Oversized 3 car garage. 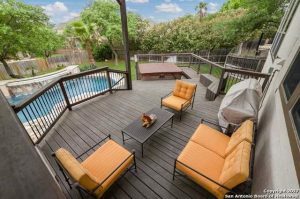 Entertainers dream with a large porch and custom deck that overlooks your serenity pool. 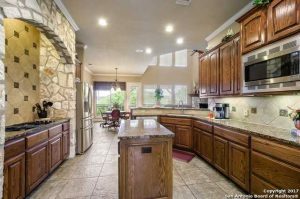 Roan Way, is one of the most desirable areas in the entire San Antonio Texas region. With excellent schools and a close proximity to the city. it’s an oasis just inside of the city. Thank you for reading about 3227 Roan Way San Antonio TX 78259.